This money will help us further shape Luton Millennium Green to the community needs and help create what will be an amazing community space. Pop along to your local Tesco’s from 27 February to 6 March remembering more votes more Apples ! Tesco has teamed up with Groundwork to launch its Bags of Help initiative in hundreds of regions across England and Wales. The scheme will see three community groups and projects in each of these regions awarded grants of £12,000, £10,000 and £8,000 – all raised from the 5p bag charge. Bags of Help offers community groups and projects in each of Tesco’s 390 regions across the UK a share of revenue generated from the five pence charge levied on single-use carrier bags. The public will now vote in store from 27 February until 6 March on who should receive the £12,000, £10,000 and £8,000 awards. 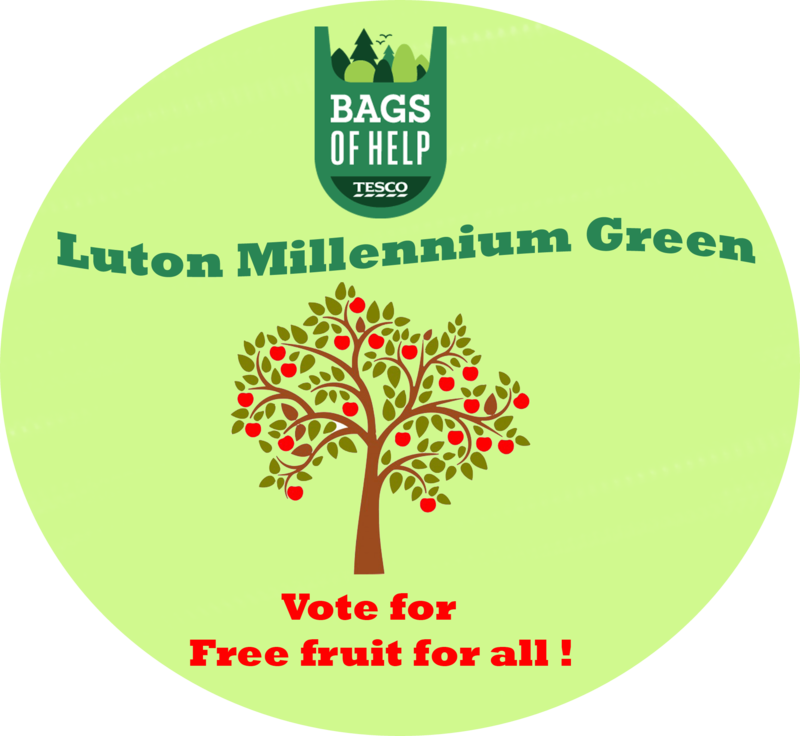 ← Luton Millennium Green #Pocketpark DCLG Green light given !